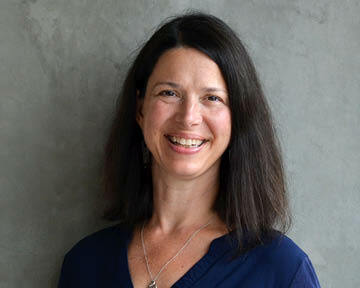 Heather DeGrella leverages a diversity of skills gained over 16 years in architectural project management, construction administration, building science research, and sustainability consulting to enable all Opsis project teams to establish and optimize sustainability goals. As the Sustainability Design Leader at Opsis, Heather is involved throughout the full project life cycle from planning and design, through construction, and into operations. She works closely with design teams to establish achievable design goals while encouraging teams to question assumptions. Heather’s tireless passion for green building is evident in her extensive community and professional service, public speaking, and through practical application on a diverse number of design and research projects. Heather frequently presents on topics ranging from LEED principles to carbon neutral design. She has served as the founding member of the Portland Transparency Materials Collaborative, chair of the Portland AIA Green Schools Committee, chairperson of the USGBC Central Texas Chapter, and a recipient of the San Antonio Business Journal’s “40 Under 40” award. As a member of the Opsis “Green Team,” Heather ensures that knowledge of best practices and tools are shared throughout, and challenges the firm to examine its internal operational policies. Heather received her Earth Advantage Stewardship credential this summer.